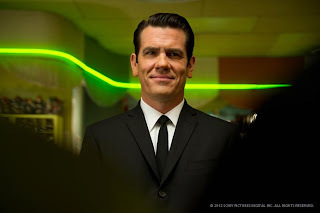 One area where Cohen and Sonnenfeld immediately reenergize this franchise is the villain; both original films had weak, uninteresting antagonists, but when cosmic bad guy Boris the Animal is introduced at the start of this third film, he immediately feels like a valuable, compelling part of the “MIB” universe. Played by the hugely talented Jemaine Clement of Flight of the Conchords, Boris is that rare villain that manages to be threatening and funny at the same time. Part of that is Clement and his distinctive, wonderful voice, but equal praise must go to Rick Baker and his make-up team for designing such a visually interesting and physically powerful foe. Boris is the first threat Agents J (Will Smith) and K (Tommy Lee Jones) have ever faced that feels legitimately dangerous, especially since he has a very personal grudge against K. In 1969, a young K foiled one of Boris’ evil plots, shot off his left arm, and had him incarcerated in a maximum-security prison on the moon. At the start of “Men in Black 3,” Boris escapes; but instead of killing Agent K in 2012, he finds a time-travel device, returns to 1969, and erases K from existence. With his best friend missing, Agent J must use the same time-travel technology to venture to the past, save K, and stop an impending alien invasion in the present. As Columbia’s marketing campaign has hammered home by now, J meets a younger K in 1929, impeccably performed by Josh Brolin. The man couldn’t be receiving more praise at the moment, and all of it is well earned. His impression of Tommy Lee Jones is indeed flawless, down to the tiniest facial ticks; that’s no small feat when Jones himself is such a recognizable, iconic, and distinctive actor. Brolin and Smith even the share the identical, effortlessly fun chemistry that Jones and Smith established over the last two films. It’s uncanny in every way imaginable, so much so that when Brolin appears, it doesn’t feel like a new actor has stepped into the part. It instead appears that we have travelled into the past alongside Agent J, a ‘special effect’ no amount of money or CGI could ever accomplish. What really impresses me about Brolin’s work, though, is that rather than rely solely on his expert imitation, he quickly starts adding layers to his performance, distinguishing his version of K as a mentally and spiritually younger man. It’s clear early on that this character hasn’t been through the same events that shaped Tommy Lee Jones’ stoic portrayal, and that allows the film to explore some really rich emotional territory. Before going back in time, Agent J is frustrated that K will never reciprocate the energy or friendship J feeds him; it’s a valid issue to address, especially if Sonnenfeld wants to move these characters forward. After a certain amount of time, it’s only natural that one partner or the other would get a little exasperated by their mismatched personalities. By going back in time and allowing Brolin to illustrate a younger, slightly friendlier version of K’s character, we get to explore the things that made him the man he is in 2012, and more importantly, reexamine J and K’s friendship from a completely new angle. Sonnenfeld never wastes this opportunity, and there are a number of genuinely moving scenes between the two that highlight why K is a man worth loving, why he and J are truly suited to be best friends, and why this partnership is more than just a comic archetype. There’s a conversation between Smith and Brolin in a diner that is as emotionally fulfilling as any I’ve ever seen in a summer tent pole, and the way Cohen weaves the fate of their friendship in with Boris’ evil plot makes for a finale that is satisfying on every possible level. 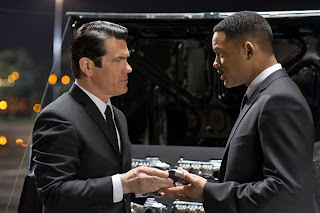 Again, it’s almost indescribable how crucial Brolin is in allowing all this to work as well as it does, but Smith and Jones’s performances shouldn’t be forgotten. Given the film’s story, Jones only appears at the beginning and end, but he’s just as good as ever, and I felt a warm rush of nostalgia watching he and Smith share the screen after all this time. Smith, meanwhile, is tasked with carrying much of the film on his shoulders. He pulls it off with ease. It’s been four years, believe it or not, since Smith has acted, but if anything, that time has allowed him to recharge his charisma and come back stronger than ever. He’s just a joy to watch, effortlessly riding the film’s large tonal shifts and looking darn cool in the process. This is why audiences watch Smith in everything he does, and it’s good to have him back. 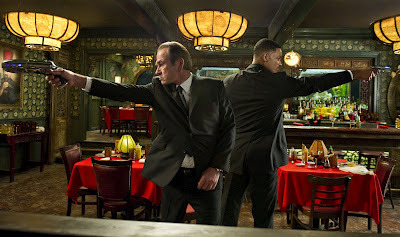 Where “Men in Black 3” falls short is that the action, comedy, and one-off alien threats – elements that defined the creativity of the first film – feel a wee bit tired. As I noted at the start, recreating the fresh, surprising atmosphere of the original this many years later was always going to be a major challenge, and the fact that so few jokes or action beats fall flat is a bit of a miracle. The climactic set-piece, in fact, is rather brilliant in conception and execution. But nevertheless, there are moments, particularly in the first act, that fail to connect. It feels like a script issue, which isn’t surprising given that the film entered production without a finished screenplay; I suspect Cohen, a talented guy, could have hit it out of the park with another couple of passes, but as it stands, he struggles on occasion to make this crazy alien-infested world ‘pop’ as strongly as it could. Some viewers will no doubt take more issue with that than I did, and I worry that audiences in general may avoid the film due to genre oversaturation over the last few years. 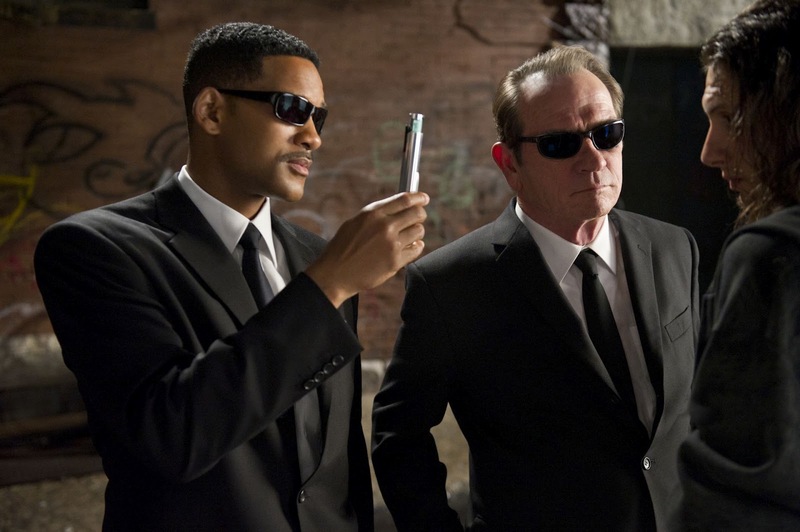 But I urge readers to check out “Men in Black 3,” especially if they’re fans of the main characters and the chemistry they share. No, the film is not groundbreaking in the same way as the original, but it refreshes in different, more profound ways. It’s a blockbuster that excels primarily because it’s a true emotional triumph, and for Hollywood, that’s just as rare now as it was in 1997. 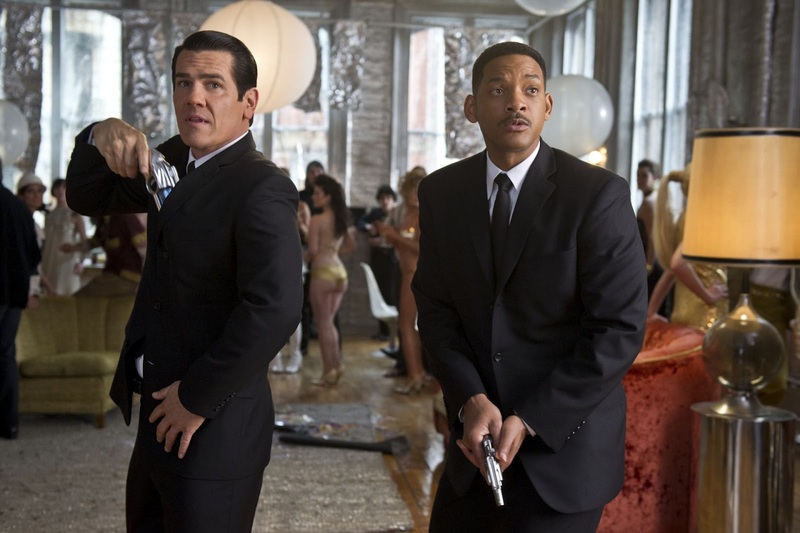 I walked into "Men In Black 3" with the same kind of uncertainty, because I didn't like where they took the series with "MIB 2." But I ended up really liking it. Please read my review if and when you get a chance. Nobody was really ever praying and wishing for the third film in this series, but it wasn't all that bad. 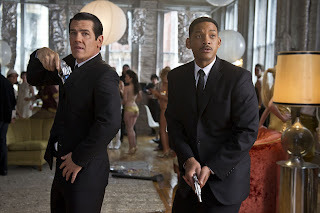 I still had plenty of fun with Will Smith and I thought James Brolin's whole impersonation/performance of Tommy Lee Jones, was spot-on and added a whole lot more comedy to the final product. Good review Jonathan.